The verandah must have a single foundation with the house. If this is not possible, an individual foundation of columnar, pile or belt type is erected. The choice of the foundation will depend on the materials selected by you. For example, if a wooden beam is chosen as the floor for the future veranda, then a columnar foundation with a preliminary binding of the embedded boards is sufficient. If monolithic reinforced concrete slabs are used, then the optimal choice will be a strip foundation or a pile foundation. 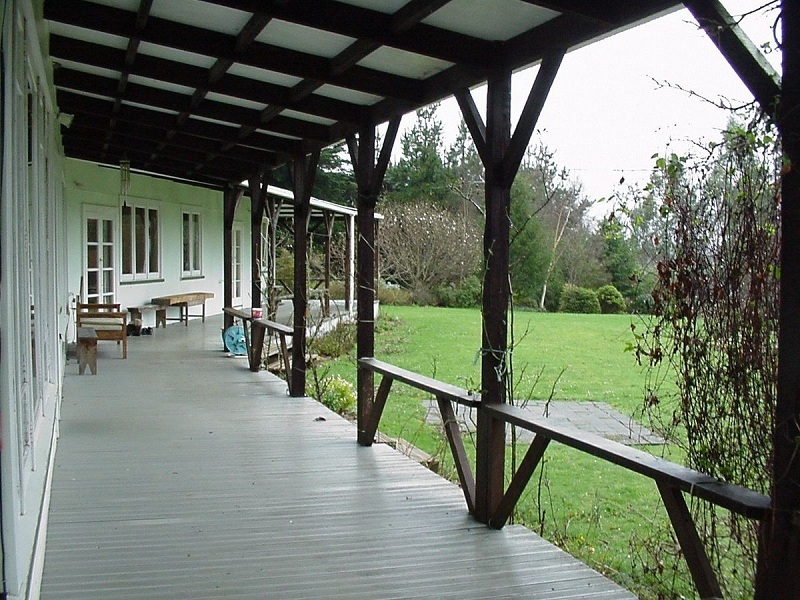 Depending on the purpose, the verandas are of two types: open and closed. Most cottage houses become habitable exclusively with the beginning of warm days. If this is just your case, the best solution will be an open-air veranda. First, it is not advisable to spend money on glazing or erection of deaf brick walls, if you simply do not use it. Secondly, if we are talking about an independent extension of the veranda to the house, then the open construction is built much faster and requires fewer expenses for building materials. There are so comfortable holiday homes that they, rather, can be called a country home. They can comfortably be in winter and in rainy seasons. In this case, it is more appropriate to consider the closed type of the veranda. It can be used as an additional full-fledged reception room, like a home library, a dining room, a games room, like a greenhouse or a winter garden. 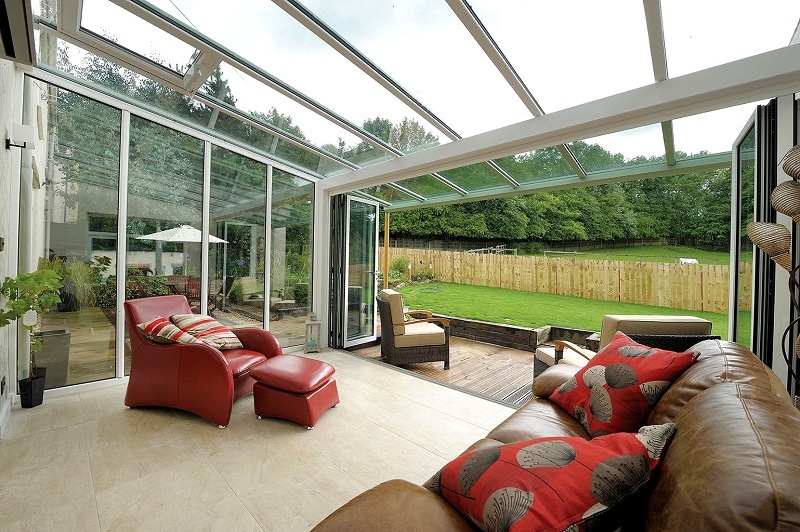 So that nothing prevents you while enjoying the first snow or the sound of autumn rain, use frameless glazing. This option is very popular recently. The appearance of such a veranda is simply incomparable. Being inside, it seems that walls do not exist at all. 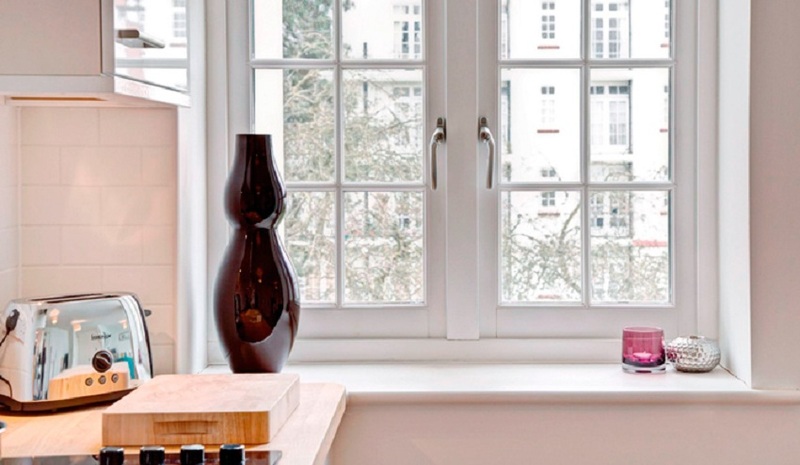 In addition, it is possible to choose double-glazed windows with noise-proof or heat-insulating properties. In such a room it will be warm and comfortable. And if you take care of the presence of a small fireplace, it will not only provide comfort but will act as an additional source of heat. Please note that the glazing option is not the only one possible. If your house is built of bricks, you can build a veranda from the same material. 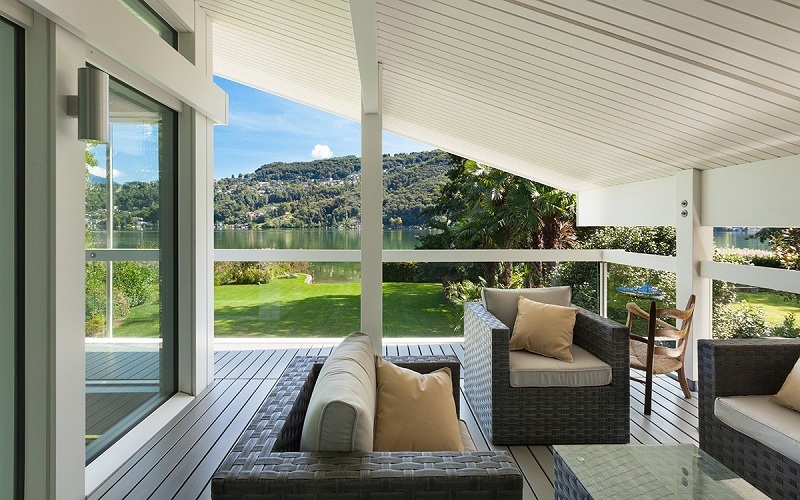 The option of wooden verandas attached to a wooden house is also not excluded. Just need to take care of the presence of window openings. Perhaps it will be one, but a large panoramic window. Proceeding from the above, it is clear that the type of veranda is used depending on the seasonality of visiting the country house. And the last thing – do not forget to take into account the wind currents. It happens that around the corner of the house, in the same place, at any time of the year, a constant draft or strong wind. To attach an open verandah in such a place is not worth it. Sitting on a constant draft will be uncomfortable and harmful to health. 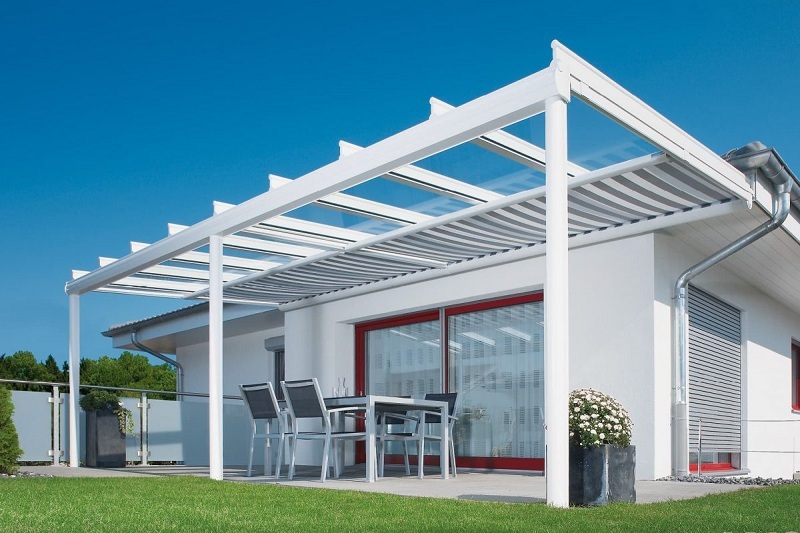 Before considering concrete examples of veranda design in this or that style, it is necessary to understand how to choose not only beautiful but also durable materials. 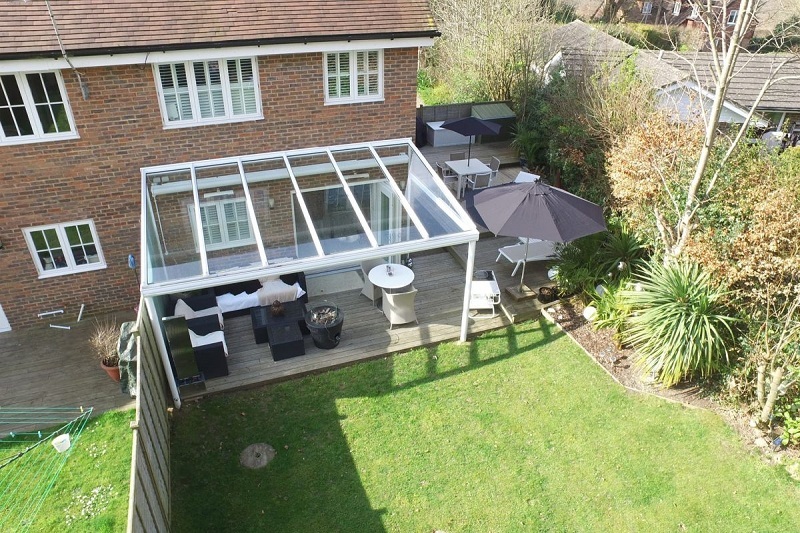 The veranda is not a temporary building for a couple of seasons, so it’s worth to approach it with the mind and practicality. A more balanced approach requires facing an open veranda. Its internal space, even in spite of the presence of a roof, will be affected by absolutely all unfavorable factors. Slanting rain will easily flood the floor; strong frosty winds will blow the building from all sides. 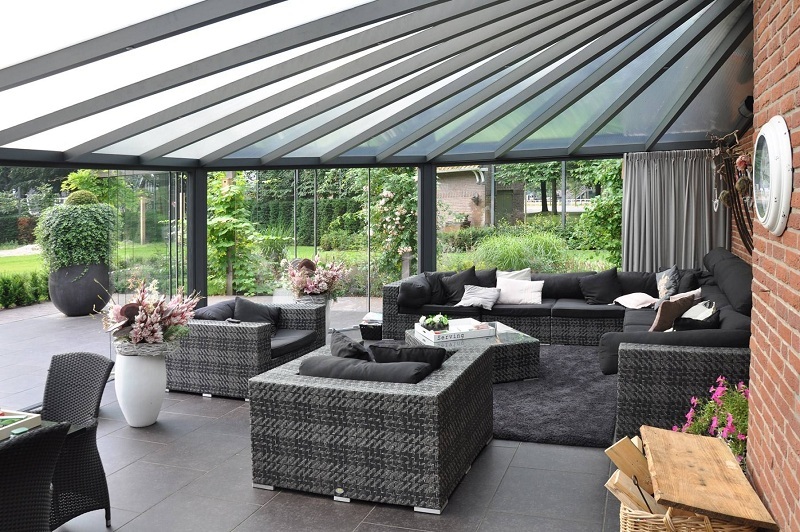 Since an open veranda is essentially just a frame without walls, this makes the task a little easier. Of course, the most durable option will be the installation of a concrete foundation with subsequent lining. This is suitable for sandstone or granite, which is very durable and frost-resistant finishing material. If the flooring is made of wooden beams, take care of the proper processing of wood before installation. This includes treatment with antiseptic properties and impregnation with hot linseed oil or coating with several layers of protective varnish. The interior finish of the closed veranda can be made from a wider range of finishing materials. Considering that in the majority of this room all these are unheated, you should choose a finish that is not afraid of temperature changes. Most often use a wooden lining. It is affordable, easy to install, has a nice texture and the smell of real wood. Often it is treated with special impregnations, which makes it not sensitive to moisture. 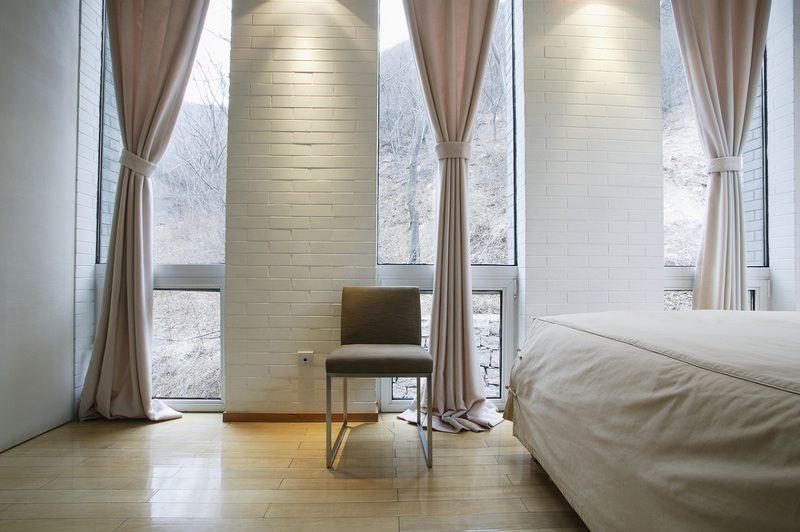 In addition, this natural material can best emphasize the interior of the country house. You can use MDF panels, which also have a suitable appearance and good operational properties. Sometimes use plastic panels, which are resistant to the effects of various adverse factors. A variety of textures and colors will allow you to fully express your imagination. Also, do not forget about the usual plaster or lining artificial or natural stone. You can combine various finishing materials, thereby creating the original look of your veranda. 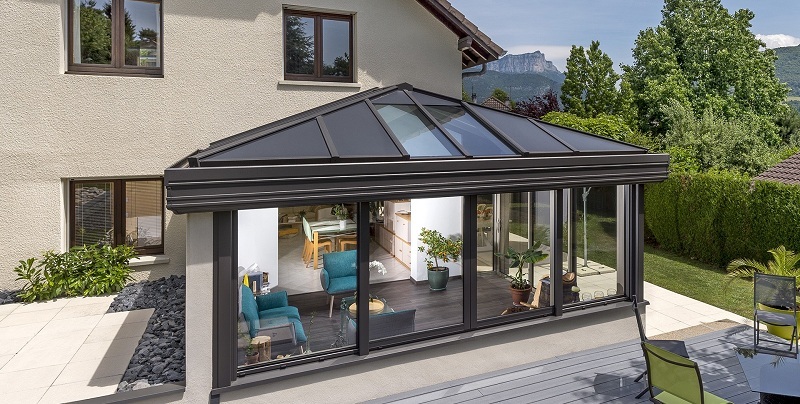 To achieve a harmonious kind of holiday home, it is recommended to choose roofing materials for the roof of the veranda, similar to the main roof. If the house is covered with a simple slate, which is still in excellent condition, then the same material can be applied for the veranda. Otherwise, its combination with a more modern finish and even a distinctive color will create an excessive contrast. Of course, this rule does not work, if in a short time you are going to peristaltic and the roof of the house. As for the design itself – the most common is a single-pitched roof. It is more simple to perform and will ensure proper drainage of water. Rarely, but still, you can meet a gable roof on a veranda or an arched roof made of polycarbonate. Having chosen the last option, pay attention to the amount and frequency of precipitation in your region. If precipitation is frequent and abundant, choose a material with a thickness of at least 10 mm. He can withstand a thick layer of snow and crack. If the precipitation is sparser, enough thickness is more than 5 mm. We will not give examples of the design of unreal verandas of country houses, where unprecedented spaces prevail, and the windows offer a stunning view. There are a lot of such photographic examples on the Internet. But not always such a scope is appropriate within a small country house on a plot of ten acres. Yes, and the kind that opens before many – a garden or lawn with ornamental plants, created my own hands. Our proposals for design will be practical, no less attractive and more accessible. Let’s start with the simplest. Summer cottages usually contain 2-3 rooms, one of which is located in the attic. A large family or a crowded company in such a space can be tight. It’s not always possible to even sit down at the dinner table altogether. To avoid huddling in a small room, we suggest arranging a dining room on the veranda. In the fresh air and breathe easier, and appetite is better. And the dining room can be organized both in the closed and on the open veranda. Great, if you took care of the arrangement of the barbecue and a small sink next to it. Items of furniture are selected, based on personal preferences. It can be beaten by simple wooden benches with soft cushions, and wicker chairs. The main thing is that there are enough seats. To save space and the possibility to assemble furniture and send it to winter storage, we recommend choosing folding structures. To make food intake or evening gatherings more intimate, you can arrange light curtains around the perimeter of the veranda. 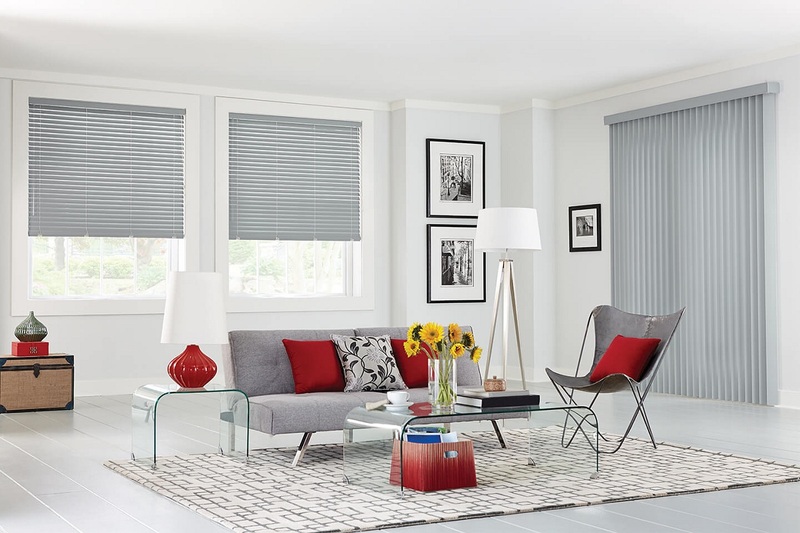 Can be combined with roller blinds or dense curtains. Thus, you can close from prying eyes from the right side. In order not to run back and forth behind the dishes, put a small sideboard or chest on the veranda. In a closed gazebo, you can arrange wall shelves, decorate them with decorative plates or pottery, allocate space for a small refrigerator and lay a path on the floor. 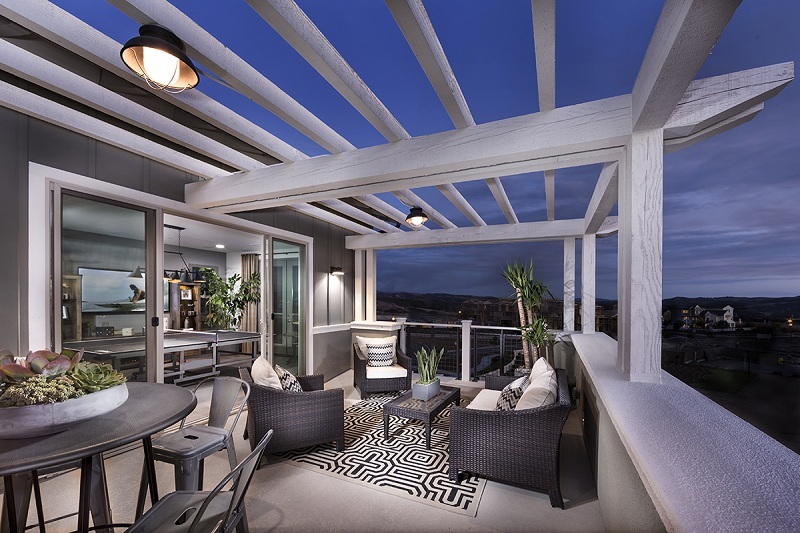 Many experts argue that the design of veranda should match the design of the whole house. You can stick to this tactic and really arrange all the rooms in one style. But considering that the veranda is a somewhat isolated room, you can choose any direction for its decoration. Maybe the interior decoration of the house was dictated by certain circumstances, and on the veranda, you cannot deny yourself anything. For the same banal reason, the lack of space inside the country house can be arranged on the veranda of the present living room. Or maybe you just want to be closer to nature. Put in front of a large window overlooking the garden, a cozy sofa and a couple of comfortable chairs. For a large company, you need a coffee table. Please note that lately furniture from wooden pallets has gained immense popularity. We believe that this is just an ideal solution for country furniture. First, at an affordable price, you can purchase the necessary number of pallets and independently invent and design of veranda furniture according to your needs. Secondly, it is very easy to assemble such furniture. It is enough to arm yourself with screws and a screwdriver. In this case, the objects are quite strong and strong. For convenience, the seat and back are decorated with soft pillows. If you plan to spend evenings watching TV, you need to think about where to put it and do not forget about the outlet. If the living room is intended solely for home evenings, provide a small coffee table where you can hide tea supplies and a kettle outlet. Perhaps it would be appropriate to equip a mini-bar. Add a cozy living room with beautiful curtains and a small carpet. Think about what you might need to create a pleasant evening, and be sure to organize it in your living room on the veranda. Perhaps you always dreamed of a hammock or a hanging cocoon chair. So why not? If only the bindings were reliable. Do not forget about landscaping of the veranda. Although it serves as a connecting element between the garden and the house and allows you to observe all the delights of your landscape design from a comfortable chair, fresh cut flowers in the vase will not interfere. On open verandas, floor pots of large sizes with flowering plants will be appropriate. You can hang around the perimeter pots with flowering petunias or other flowers. Do not forget about lighting. In the evening, high-level floor lamps with fabric lampshades will help to make the atmosphere cozy and warm. In the open space, you can do with lamps in the form of street lights. You can create a holiday atmosphere and hang a garland under the roof. Many summer residents open the season with their grandchildren, and many young families do not perceive the cottage as a place to work constantly on the beds, but as a summer country holiday home. Usually, such territory is deprived of a kitchen garden and represents a beautiful well-groomed lawn on which children play. Not always weather conditions allow you to play on the grass. In this case, there should be an additional playground, which we propose to equip on the veranda. If space is enough, you can divide space into several different zones – for drawing, for outdoor games, to equip a Swedish wall and a hanging swing. Be sure to provide a soft floor covering. You can organize paths for playing in children’s bowling. In general, everything that is difficult to fit in the children’s room in the house. Do not forget that all the adults in the shower are also children and also do not mind spending time actively and cheerfully. You can install a billiard table, table football or hockey on the veranda, organize a poker tournament, darts, for various board games, and organize a small golf course. Yes anything, if only you liked. To give the room a special atmosphere, decorate the walls with posters and posters on the appropriate topic. Hang a football and other attributes, use thick curtains to create a semi-darkness, if necessary. If you prefer board games, organize a large table and seating areas around it. For games that require account management, do not forget about the slate and chalk. Usually, these games mean holding a long period of time in one place, so everyone should be comfortable. For billiards, chairs or a small sofa are required. Perhaps this is the most aesthetic and perfect solution for the veranda. In such a room must be a large amount of daylight. 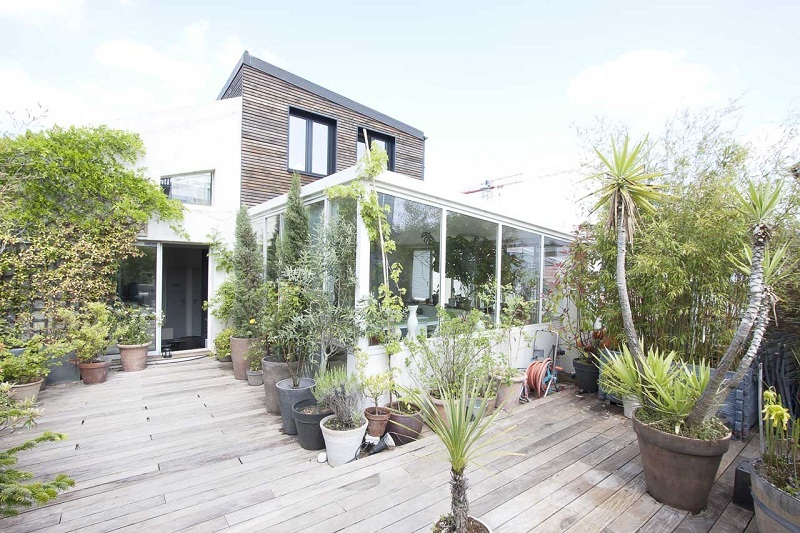 Therefore, in the case of a closed veranda, the most appropriate option would be glass walls and even a roof. Or a large window on the roof. In the winter garden, you need to provide a lot of supports for pots with plants. And they should be different. For climbing plants, organize the support. 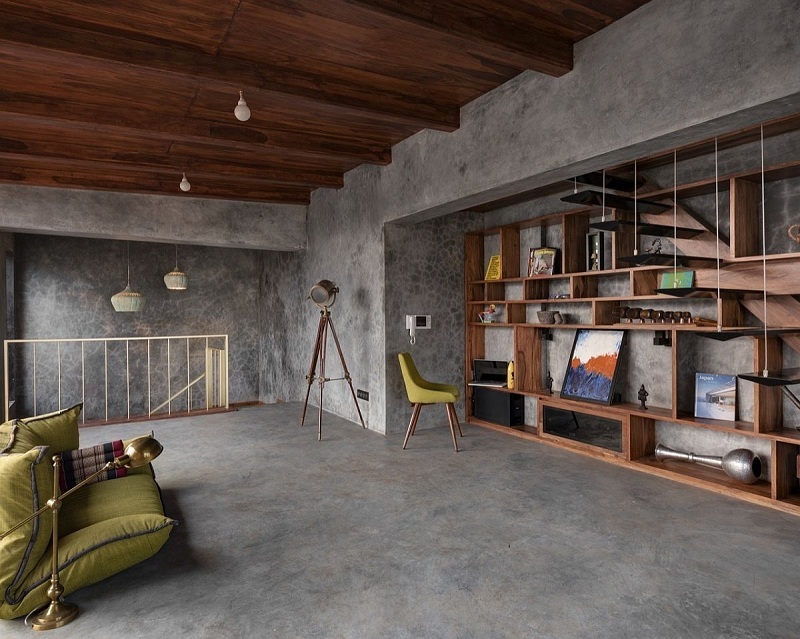 In such a room there will be increased humidity, so if it is clear with the material of the walls, it is better to choose a ceramic tile with an anti-slip surface for the floor. Also, plants may require additional light in the cold season. It can be fluorescent lights under the ceiling, which must be equipped immediately. It is better to choose models with protection from moisture. And, of course, among all this beauty, do not forget to leave a small corner for a comfortable chair or a small sofa. Very popular in recent years has been the use of electric or bio-fireplaces to make the living room cozy in the apartments. But you will agree the heat of this fire and the crackling of firewood cannot be replaced by any artificial fireplace. It is at the cottage that it is easiest to embody your desires in reality and build an active focus. Just imagine how wonderful it will be to sit on cold winter evenings in front of an open fire. The main difference between a fireplace room and an ordinary living room is that the sofa does not occupy an honorable central place. In the fireplace room, the decoration is welcomed with real or artificial stone, animal skins on walls or on the floor. By the way, a couch or armchairs cannot be at all. Enough large mattresses and a lot of pillows. Fireplace shelf can be decorated with candles and decorative statuettes. Only without proper experience should not even try to build a fireplace yourself. It is better to turn to the services of a professional stove man. If neither in your apartment nor in the house itself there was a secluded corner for you and a collection of your books, it means to them the very place on the veranda. Of course, leaving shelves with books on an open veranda throughout the year is not worth it. Racks, can and will survive, especially iron, glass or plastic, and here books can suffer. If there is no way to make the veranda closed, then the books will need to be hidden, and the shelves should then be securely attached to the walls or to the base. So, to organize a home library and a place to read on the veranda, we need to come up with a place for storing books. With racks and material for them, everything is clear. In addition, we need a small table where you can put a cup of tea, put glasses and other necessities, and a comfortable chair. This can be a rocking chair, and a regular body model, and a hanging and wicker or even a small couch, if only it would be convenient for you. By the way, in many shops with garden furniture, you can find the whole garden sets of natural or artificial rattan. This is an excellent option for open areas. Also, need a source of artificial lighting. It is better if it will be a floor lamp on a high leg with a swivel bubble. Dilute the interior with indoor plants, put the ottoman in front of the chair, hang cozy curtains on the windows and enjoy your personal library. From a simple veranda, you can make a real dance floor with your own bar and have parties! This is the best option for those who do not have enough club life, but due to the circumstances and the loaded schedule, there is no time left for it. Another advantage is that it does not matter whether your veranda is open or closed. It is only necessary to take care of the strength of the floor and the durability of its coating. Let’s start with the organization of the bar. Make it very simple laying out of bricks and covering the countertop. Such a simple option will, of course, be stripped of shelves on the inside to store the necessary inventory. Therefore, you need to place the rack under the wall of the house, to which the veranda adjoins, to be able to organize wall shelves. You can just put a small cabinet next to the shelves next to it. In the rack, you can build a small sink. A mini fridge for ice is also needed. Install the rack as compact as possible so that it does not stand in the middle of the room. On the contrary, it is necessary to install several small tables and chairs for guests and a pair of high chairs at the very desk. The rest of the place is assigned to the dance floor and the installation of speakers and turntable. Immediately calculate the number of sockets required to avoid stumbling through multiple extension cords. To give the atmosphere of a real nightclub will help disco and all kinds of the strobe. In the case of an open veranda, use a dense dark fabric around the perimeter of the building. In the daytime, curtains can simply be gathered and tied. Their goal is not to provide complete darkness, but to make the room closed, to hide your party from unnecessary eyes. Perhaps not every weekend you will conduct this way. In this case, you can carry everything from the veranda, except the bar counter and use it for other purposes. You can take out folding furniture and organize the same dining room or living room because you already have sockets for a stove or a tape recorder. That’s so easy to make your vacation in nature active, rich and varied.